Wow! A co-worker introduced me to Ganoderma coffee and the coffee club. First of all, I guess I didn’t realize I got a free coffee mug and samples – I was so excited pulling the variety out of the box – so many new things to try! 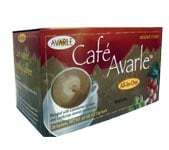 About the coffee, I purchased Averle – it is the most delicious coffee I have ever had. I honestly don’t even want Starbucks any longer. I’m not sure I can explain the taste, it’s just so yummy! And the fact that it’s all in one & I don’t have to purchase sugars, creamers, etc – that’s the best part. I feel like I’m also saving money! I found this 4in1 Ganoderma coffee a number of years ago at a local Amish farm store. When they went out of business, I went on a search for another supplier. I’m very happy to say I found a great family business that carries it because I try to never be without! I enjoyed the different samples you sent and helps me to know which ones I like and can reorder those again. I am not using all the samples; I’m just leaving them out for friends and family. I joined the GC Club for the discount since I plan to be a regular customer for the product that I do use which is the 2 in 1 black. I found Ganoderma Coffee at another website, and they closed down. Frantically, I searched for another company and happened upon ganodermacoffee.com. I have NEVER had such a good experience as with this company. I was completely out of coffee and joined the GC Club, got my new mug – which I use every day – and have ordered more since. Customer service is excellent, product meets my standards, shipping is on time and fast…I’m even trying different products that contain the ganoderma mushroom. Tasty! 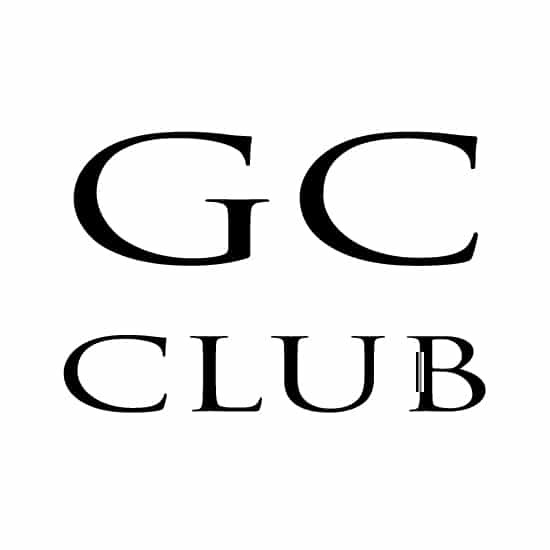 I recently ordered the GC Club. It came with a coffee mug and 12 packs of coffees, mochas & teas. It was an amazing sampler because I got a chance to taste each product before buying a full box. All of the samples I received taste great! I was surprised by a few because of the description I didn’t think I would like it. I love Ganoderma coffees and will definitely be back for more!! (I have already placed my first order and its on its way to me. The time between ordering and receiving is impeccable! Hi, Evan! I’ve been meaning to write this review for a long time. I used to order from you years ago, then lost touch (my fault!) but am sooo glad to return. People, please don’t let the words “mushroom” and “coffee” frighten you from trying this product. You would be denying yourself the tried & true health benefits of ganoderma. Among many things, I believe it truly helps me with my focus, and best of all, with my SLEEP. I just have a better, fresher attitude. I’ll put it to you this way, because this is what I noticed years ago when I was drinking your ganoderma products — I didn’t notice anything different while I was drinking the coffee, BUT …. BUT … you better believe I noticed when I was NOT drinking it! I didn’t sleep as well. My skin wasn’t as clear. I lost my focus. Little things bothered me. I wasn’t at peace. That sounds like a lot, but it all adds up, and when you think to yourself, the only single change in my life has been drinking this coffee, then it’s GOT TO BE THE COFFEE, and it is. Besides all that, the product is DELICIOUS. It has a little smoky taste to it that makes it quite craveable. And I didn’t expect to like the tea — I don’t know what I was thinking — but I think I like it the best! The mocha is pure indulgence — like a dessert coffee. So is the cocoa. The hoodia coffee is mild, you won’t get jittery drinking it, but you will feel less likely to snack. I just have to repeat, PLEASE DON’T LET THE WORD “MUSHROOM” PUT YOU OFF. You WILL NOT TASTE MUSHROOMS! This is a superior product and truly worthy of your consideration. And, nooo, I don’t work for the company, lol, but I feel like a friend because they treat me so well — coffee is always delivered quickly and it’s truly delicious. Thank you for the variety pack, what an opportunity to try several of your products. I like the 2 in 1 Black Coffee! Appreciate your offering the GC Club! Cheers! Nice, have a better price for products is good. I love being able to sample all the offerings without spending a fortune! It makes it so easy and cost-effective to plan your future orders. I was able to try products I normally wouldn’t have purchased, but now I will. It is great to find a coffee that is good for you. 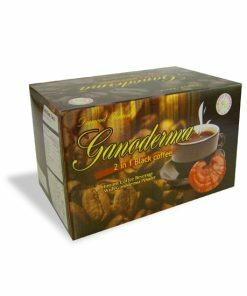 Ganoderma 2 in 1 combines good taste with being a healthy choice. It’s a win-win. Great Bargin with lots of good samples for the price. I have gone from needing to drink four cups regular coffee to get me moving in the morning to just two 2in 1 black style ganodrema coffee. I love it. A very healthy substitute. I purchased this item and Ganoderma 2 in1 as Gift for my Sister who is a Cancer Patient. With onging Chemotherapy, she is not always able to swollow pills, so the next best thing is drinking your way to better health with the best tasting Healthy Coffee on the market. I spoke with her yesterday-she is loving her Gift!!! I have just join the GC CLUB and i look forward to the wholesale products in the near future. The service was fast and the samples help to decide what product you like. This was a good way to start great relationship. I wanted to try several different flavors and types of coffee and teas. This package contains several different samples of the coffees and teas. Now, I know what to order more of! A very nice way to try a sampling of each product. I have not tried all the samples but my husband really likes the coffee and the convenience of the packets. LOVE this coffee and most of all I love the smoothness of the Hot Chocolate! The coffee tasts like the regular coffee I was drinking BUT this has an added benefit for my health. It gives me energy, which is what most seniors like myself lack. I am telling everyone I see about these great drinks and how they can help with their health. Thanks for the great products you have!